I made this thread to help zombie with overclocking. I found some info you should read. There are many similarities to my bios, but there are differences also. a very important thing is ability to change your multiplier, see if you can do that. I read the whole article and all I can say is....huh?? First thing to do is familiarize yourself with the steps needed to reset your cmos. 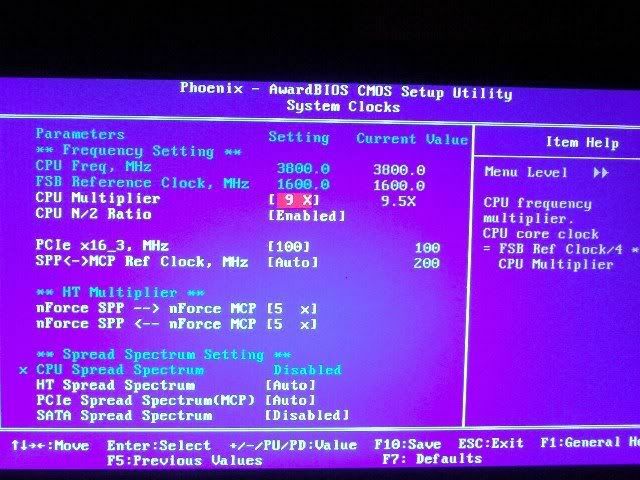 this will be needed if the changes in the bios cause your computer not to boot. don't worry, I've done this more times than i can count, but I have to remove the battery and use a jumper to reset. on the web your board is described with a button you push??? right on the motherboard? pfft thats easy enough. then we begin to change the CPU multiplier. I'd like to see the FSB closer to 300, while leaving your memory speed unchanged. yours is currently 200/800. you can see with these examples the benefit of having a multiplier you can change, it allows you to bump the FSB and maintain stability. I suspect you to begin to have stability issues the closer you get to 300. I have slightly changed my Vcore voltage on my board, which added stability and enabled me to reach 400 FSB. you may have to do this. I will supply links to some apps that will help test and monitor your computers performance and measure stability. 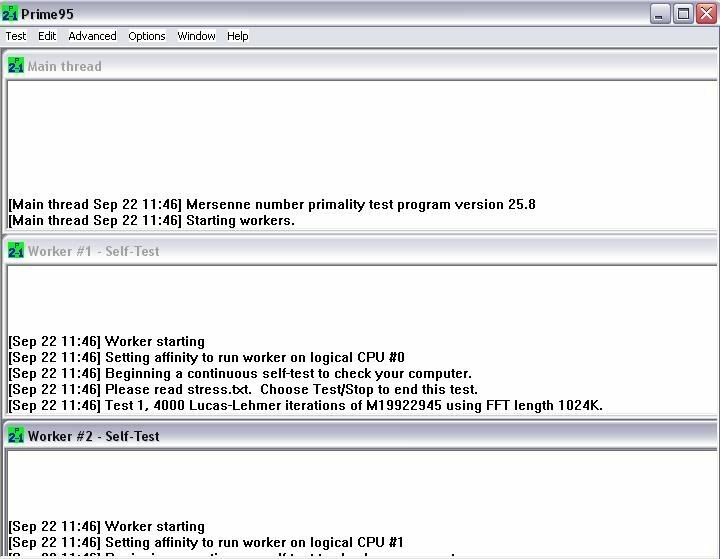 Prime95 has a feature called "Torture Test" that allows maximum stress testing on the CPU and RAM. There are several options allowing the stress test to focus on the memory, processor, or a balance of both. 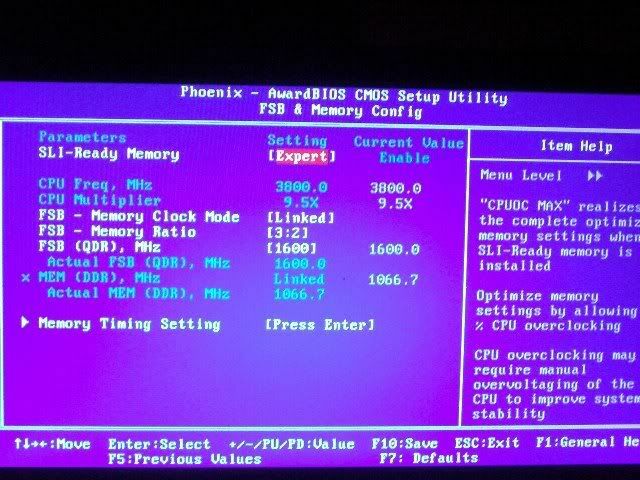 I installed the ASUS ai Booster this morning and set it to auto overclocking. Right now it shows FSB 1004.62/cpu utilization 200.93 x 15.0/memory 1.85v/pcie 3.33v/ system temp 41c/cpu voltage 1.39v/cpu temp 31c/3014.17MHZ and I saw it jump to 3200MHZ during ArmAmark2. 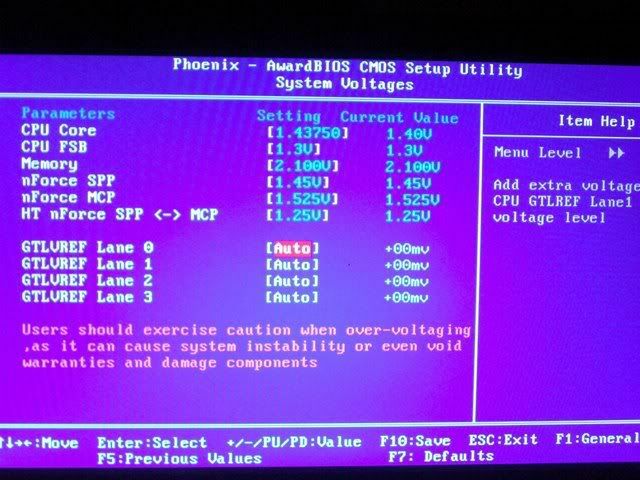 did you learn how to reset cmos? i advise making the changes above to the fsb and multiplier. the asus ai booster can overclock, but it will be minimal before it becomes unstable. DirTyDeeDs wrote: did you learn how to reset cmos?